Hello my friends.....Have you clicked on A Crafting Start lately? 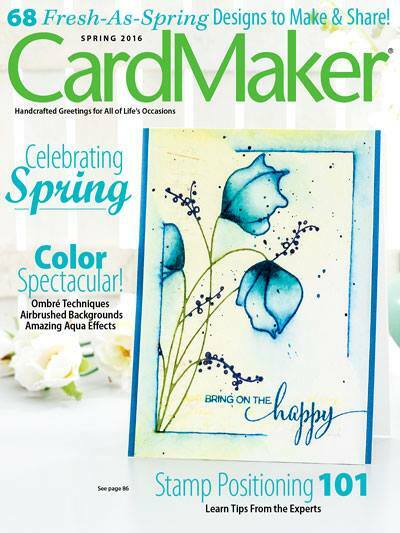 This is a really good site for beginners in scrapbooking and cardmaking. This weeks challenge is for dry embossing. The above card was first run through the cuttlebug with the Musical Flourish folder using Coredinations red card stock. I then sanded the card stock while it was still in the folder. 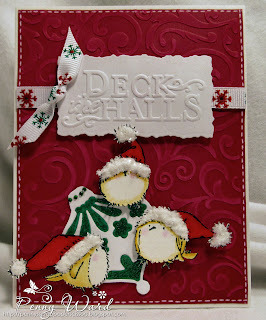 I also used the Sizzix Santa Baby folder for the sentiment. Die cut of the holiday ball, then applied green glitter. Cute little chicks from Penny Black Winter Wonderland were stamped, colored and fussy cut. Their hats have glossy accents and the "fur" is done with Aleene's True Snow with Twinklets Diamond Dust on top. Add a little ribbon and faux stitching. Penny this has such wonderful texture and depth!